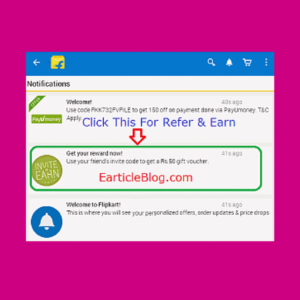 Hello guys Flipkart comes up with Flipkart Referral Program and earn where every one can get free flipkart Gift vouchers. And if you have a lots of friends then you can win up to Rs 2000 (1000+1000). 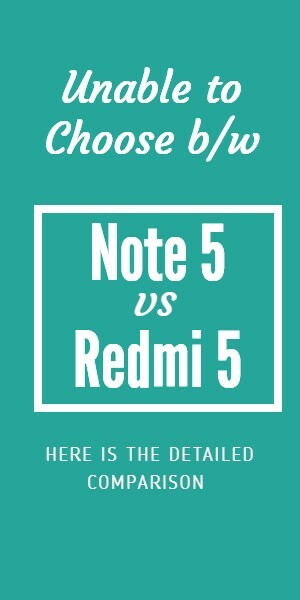 Every user get rs 50 gift vouchers in this Flipkart Referral Program and if your friend use your code then you can Rs 50 more and your friends also get Rs 50 vouchers instant and you can earn up to Rs 1000 gift vouchers by just referring and additional bonus is if your refer friend make purchase within 30 days you can get more Rs 50 vouchers for each friend means total rs 2000 gift vouchers from this Flipkart Referral Program. 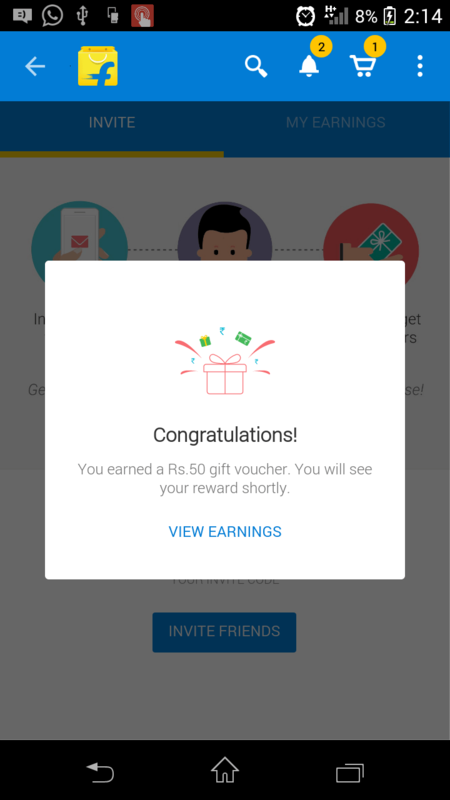 So here I am going to tell you how you get Rs 50 instant vouchers and steps to earn Rs 2000 also. 2-After download create new account or login with your detail. 3-Now go to top and click on Bell icon to see Refer and earn notification just click on it. 4-Now as you open refer and earn page you see an option to apply code. 5- so now for getting Rs 50 gift vouchers enter below code and apply. 6-As you apply code you see Rs 50 gift vouchers credited message. 7-Congratulations you got RS 50 gift vouchers for shopping,use this vouchers for your next purchase. 1- Go to refer and earn tab and collect your refer code. 2-Now ask your friends to apply this code in flipkart app as you apply mine. 3-As they apply your code you will get Rs 50 and your friends also get Rs 50 gift vuochers and you can earn up to 1000. 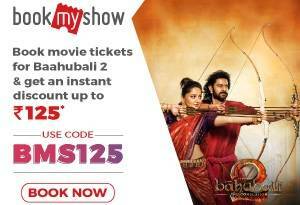 4- If your friends make purchase within 30 days you can get more vouchers upto 2000 only. 1- you can get only 20 friends vouchers. 2- You can earn maximum 2000, rs 1000 for registration and 1000 of their first shopping. 2. 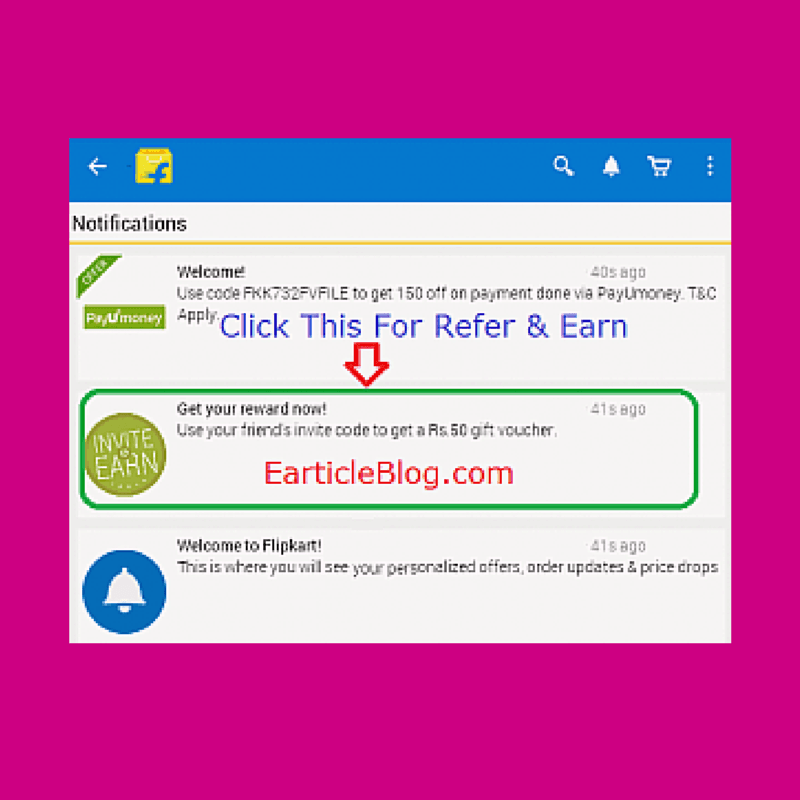 PC Users Install Youwave Emulator -> Install Flipkart App -> Register an Account Using New Email and Mobile Number Along With Your Referral Code. 4. Mobile Users You Need a Rooted Device. 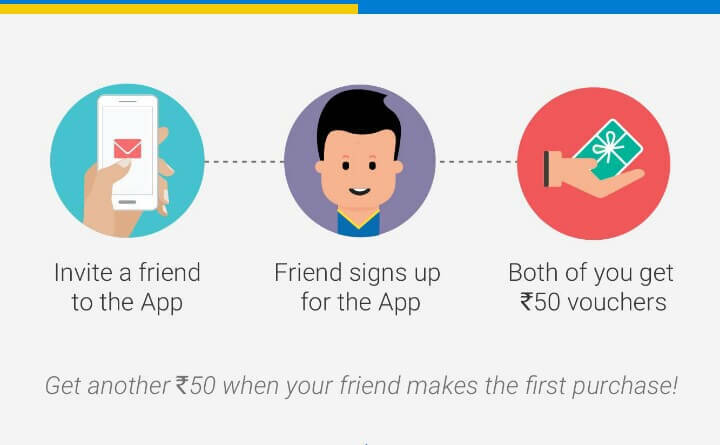 Install Flipkart App -> Register an Account Using Mew Email and Mobile Number Along With Your Referral Code. 5. You have to Change Following Three Things Every Time Registering New Account.